Does it feel as if you're fighting your body to lose even one pound or just to maintain your current weight? 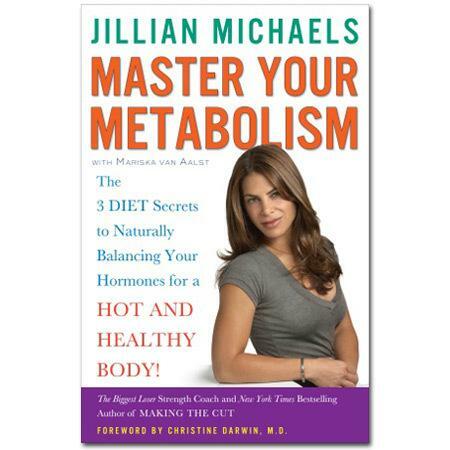 Respected health and wellness expert and bestselling author Jillian Michaels has been there, too. So she consulted top experts in the field of metabolism and discovered that she had inadvertently been abusing her endocrine system for years! After fixing her own metabolism, she decided to share what she learned by devising this simple, 3-phase plan that engages all the weight-loss hormones (including the friendly HGH, testosterone, DHEA; and the not-so-friendly: insulin, cortisol, and excess estrogen). In Master Your Metabolism, discover how to remove anti-nutrients from your diet. RESTORE foods that speak directly to fat-burning genes. REBALANCE energy and your hormones for effortless weight loss. Michaels offers a wealth of information throughout, including: shopping lists and online shopping resources, hormone-trigger food charts, how to eat power nutrient foods on a budget, smart strategies for eating out, quick and easy recipes, as well as mini-programs for addressing PMS, andropause, metabolic syndrome, PCOS, and menopause.